Famous painters from the 15th and 16th century often used images from carpet patterns from Northwest-Anatolia (under which Bergama) on their paintings: e.g. Hans Memling (1433-1494), Domenico Ghirlandaio (1449-1494) and Hans Holbein the Younger (1497-1543). 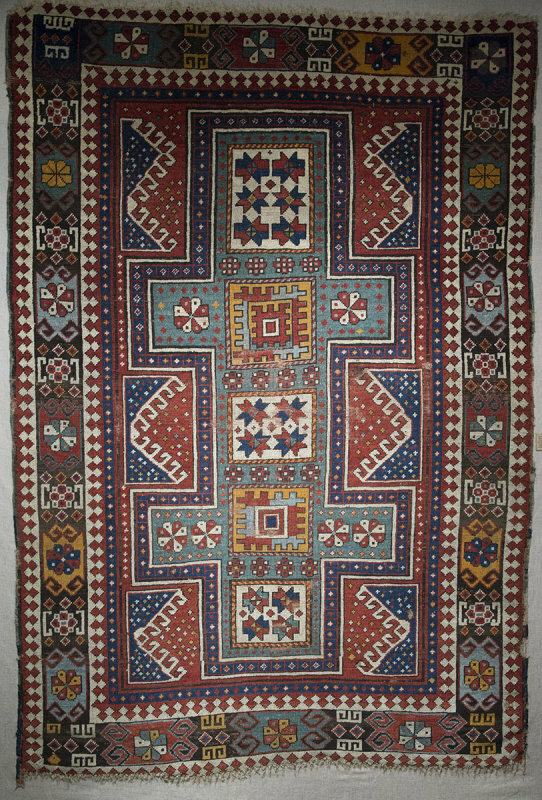 The oldest preserved Bergama carpet is known to date from the 15th century (now in the Türk ve Islam Müzesi in Istanbul). One type of Bergama carpets with strong geometric patterns, like this one, remind of Caucasian rugs. The second group is the ‘Turkish type’, mainly with floral patterns, flower heads and leaves in the rug’s field. & Websites of ‘vanderhulsttapijten.nl’ & ‘nazmiyalantiquerugs.com’ .